Submersible to 100 feet deep. See 20+ ft. in complete darkness. 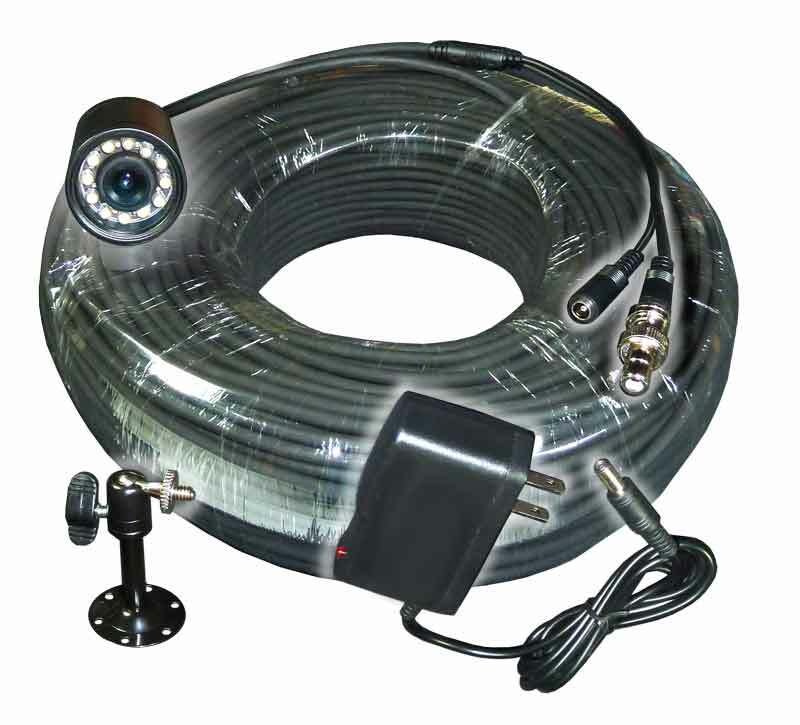 Purchase includes: Waterproof Video Inspection camera, 12 built in headlights, 270 feet of connection cable, 120 VAC to 12 VDC power supply and adaptors for BNC, and RCA connections. Dimensions 1.4" Diameter, 2.5" Long. Viewing angle is 80 degrees. Focus range is 3" to infinity..
See all Inspection Cameras on one page. Real time video inspection of hard to reach locations. Color 1.4" Diameter 2.5" Long. 120 VAC to 12 VDC power supply. 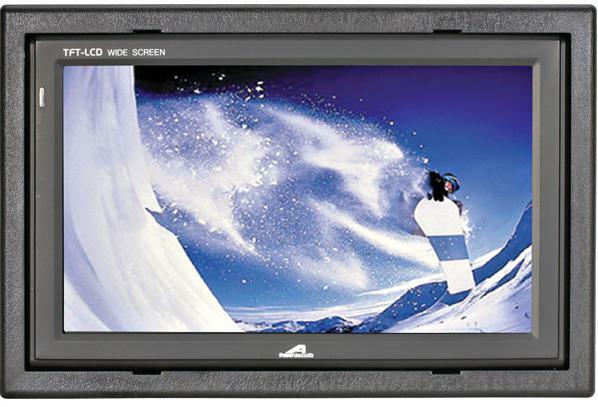 Click for Accessories that work with the icam-140. Goes underwater & Sees in total darkness. Comes with 270 feet of cable. Works underwater to 100 feet deep. Twelve bright white built-in headlights with 15 + foot range. Illumination 0.0 lux with headlights. 0.2 Lux sensitivity without LED headlights. Video Output connector RCA or BNC. Built-in Lens. 3.6 mm, 80° field of view. Factory adjusted Focus 3" to infinity. Resolution, 420 Horizontal TV lines. 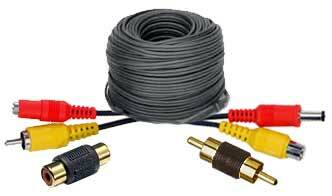 Video Output 1 Vpp, 75 ohm Composite NTSC. Operating Temperature. 14 to 120 Degree F.
Power Input 220 VAC to 100 VAC, out 12 VDC at 160 mA. Cameras weight 7 Oz. BRASS housing. 1. Connect the RCA video output to any monitor or video device that will accept a composite video signal. 2. Connect the supplied AC / DC transformer to the DC power jack. There is no power switch, so the Video Inspection Camera is "on" as soon as you connect power. Not for Medical or Veterinary use. Not for dangerous environments such as high voltage, explosive, moving machinery, etc. Think about your safety before you put any video inspection camera in any location. Caution do not put the inspection camera (or yourself) in dangerous locations, such as moving machinery, near electricity or gasoline etc. The flying debris or shock may hurt or kill. Remember the icam video cable conducts electricity like a metal pole. Note: This camera must be connected to a "video" input. It will not produce an image when connected to a cable TV or RF input. This high quality Video Inspection Camera is sturdy but please protect it from static discharge, physical damage etc. Accessories that work with the Model # icam-140-Color above. Please use all equipment in a safe and sane way. Please read all the warnings on this web page and on the instruction sheet that comes with your camera. Heating & A/C (air conditioner) ducts, such as Rotobrush, trademark. Inside walls, under floors, attics, gutters and roof eves for mold and water damage. Hard to reach locations such as tree limbs for owl and bird nests. Law enforcement to inspect under cars and trucks, inside shipping containers and trailers. Law enforcement to inspect under ships and in ships hatches and holes. Aircraft industries to inspect wings and cavities, (at your own risk). Used by chimney sweeps to inspect chimneys and flues. 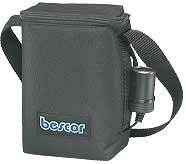 Used by plumbers to inspect water supply tanks, pipes, leach lines, septic tanks and sewers. Down wells and inside well casing's. Used to observe and count fish. Used underwater in sports activities. Used to document the condition and damage of dams, bridges and monuments. Used with automatic assembly lines to keep watch of key operations at one control point. Used with stamping or machining steps to be sure of alignment of key parts. Used as a navigation aid for boats and ships in troubled waters. Used under recreational boats to find submerged objects. Used down gopher holes to look for vermin, snakes and insects. Steam radiator heat transfer tubes. Mining operations and boring holes. Used to inspect many hard to reach locations including the back of your own head, it can help to find skin moles that you would not be able to see in any other way. It may be useful to attach an inspection camera to a 'plumbers snake' or a garden hose that can be maneuvered to the location you need to inspect. 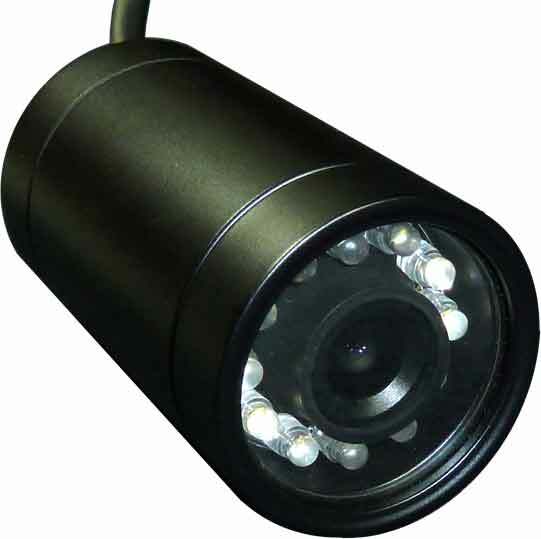 Inspection cameras are very small TV cameras with headlights. Attaching the camera one foot behind of the tip of the snake will allow you to view your progress and the tip of the snake will take the brunt of the force banging into obstacles and 90 degree elbows. The first foot of the snake can be used to help steer your camera in the direction of interest. The camera will tell you when the snake is going the correct direction at a 'Y' or 'T' joint. Attaching the camera to the end of a telescoping roller paint pole can help position your camera either up down or sideways. Let us know if we can help you in any way or if you have ideas or techniques that can help others.